or the arrow of carnations the fire shoots off. in secret, between the shadow and the soul. lives dimly in my body. I love you without knowing how, or when, or from where. so close that your eyes close as I fall asleep. 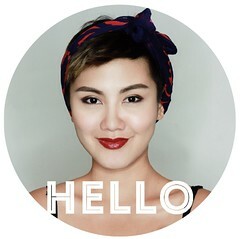 Peggy is an independent blogger from Singapore who has a penchant for impromptu travel plans and good caffe lattes. She is the co-owner of two little cafes, The Tiramisu Hero and Butter My Buns, and hopes to be able to see the world someday; one stop at a time. This is written very beautifully. Reminded me about the love between my husband and I. Almost feels like it was customized for us. 😀 I’m glad to have found your page. This poem is beautiful indeed. 🙂 I wish you and your husband all the love in the world. My name is Peggy and I am an independent blogger from Singapore. I also run two cosy little cafes called The Tiramisu Hero and Butter My Buns. My biggest dream is to travel the limitless world and be a little more courageous. I love cats, a good cup of caffe latte, hats, photography and a good balance between everything. The Mouth should have three gatekeepers. Is it true? Is it kind? And is it necessary? @lululemonsg came by the cafe the other day for a quick shoot. It was so natural, candid and casual & I really enjoyed the lightheartedness and laughter. - Random musings: 🐘 The older I get, the more I love and really appreciate how natural and effortless it can be with some people. I never want to try too hard again. The early sunbeams, the sea & morning taichi - this was my highlight of every day spent at @islandyogathailand. Really thankful for @om_and_away for organising the trip and for taking me away! :') - I couldn't recall the last time I watched the sun rise prior to this. And what a feeling it was! Moving slowly with my breath, listening to the world wake up, and feeling the sea seep under my feet gradually. I was in awe and moved, not just by the beautiful setting, but also with realising how I can actually celebrate life in so many little ways that I had always overlooked. Every sunrise is different, but they are always beautiful. I think it's the same with many other things in our lives, we just need to take the time and heart to look.